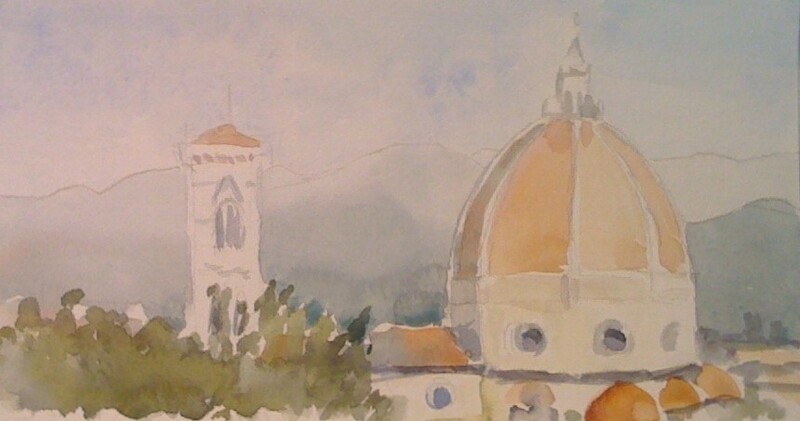 We went to Florence for my Christmas present….to see the art not to do any, but I did sketch the Duomo and Campenile from across the river. I note with some jealousy that you wouldn’t get a view of St Pauls this uncluttered due to the tall piles of steel and cement which now surround it, thanks to the banks for a lot of that of course. On top of the financial desecration. 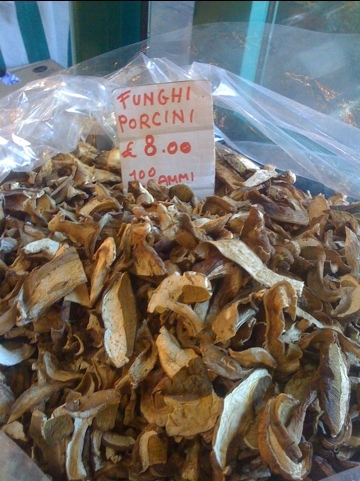 At the central market there were literally sacks of dried ceps or porcini, they varied in grade according to how perfect the dried slices were. The price went from 5 euro to 30 euro per 100 gramme. There were also blood oranges from Sicily and baby artichokes in heaps as well as fabulous piles of fresh damp salads in all sorts of colours. The buffalo mozzarella was really fresh and made a great lunch with olive bread. 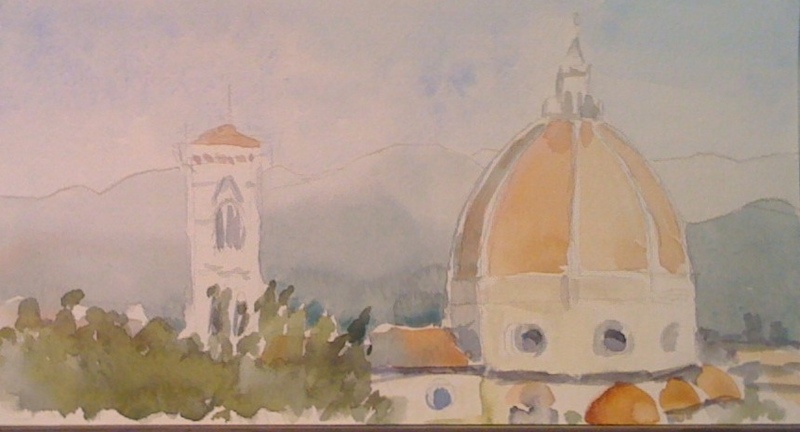 This would have been my next sketch had there been time. 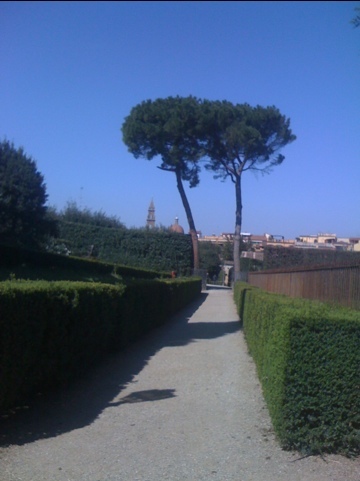 Its a view back to Florence from the top of the Boboli Gardens. 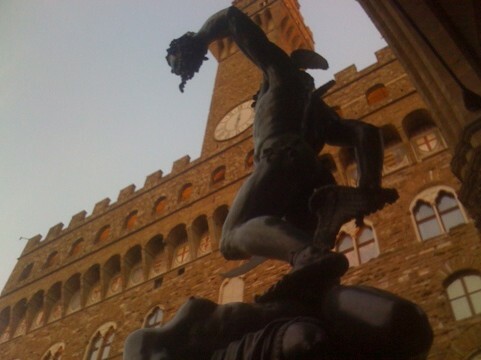 You find what you are interested in anywhere-Medusa I do find interesting, this is her decapitated body conquered by Perseus. 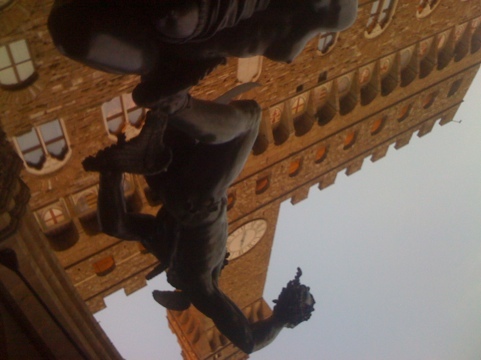 She is fairly ugly faced in this but with a decent body; I was very struck by the muscular female nudes that were carved by MichelAngelo, legs like footballers or my legs on a good day. If the models were women they were involved in some very strenuous work…washer women?